Solidor Flint composite door in anthracite grey with antique cottage door furniture. White uPVC inside and outside. Clear, toughened A-rated glass. Chrome door furniture. 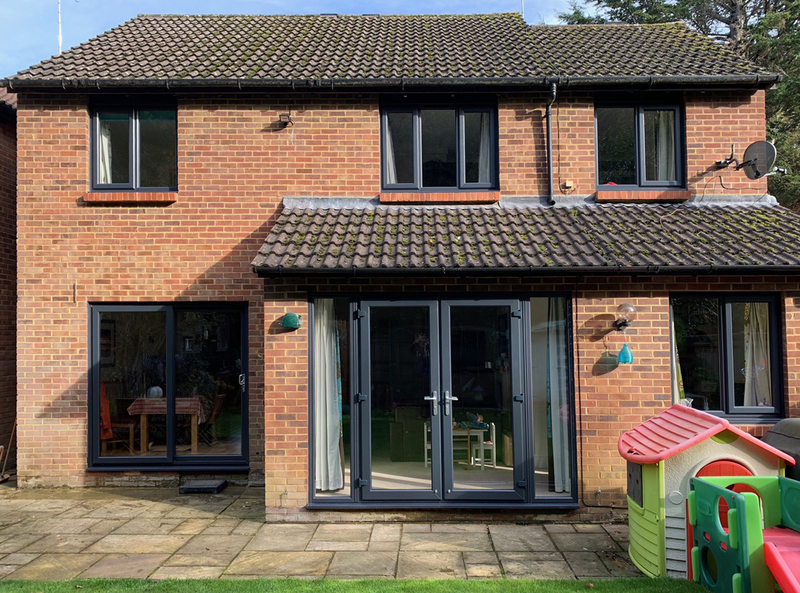 Anthracite uPVC windows and doors. Rehau windows and French doors. 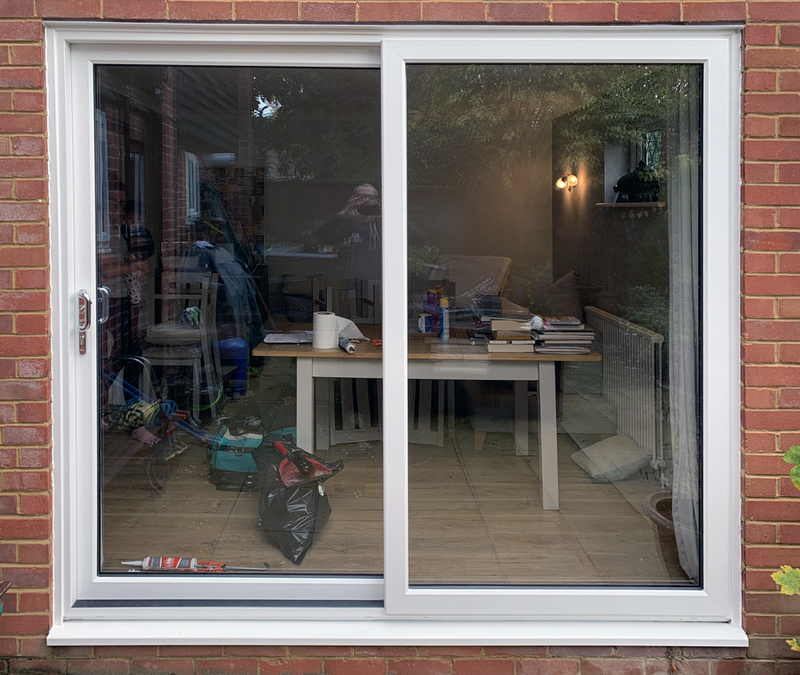 Patio door by Patiomaster. All materials used are A-rated. This week we completed this whole house job installation in Guildford. 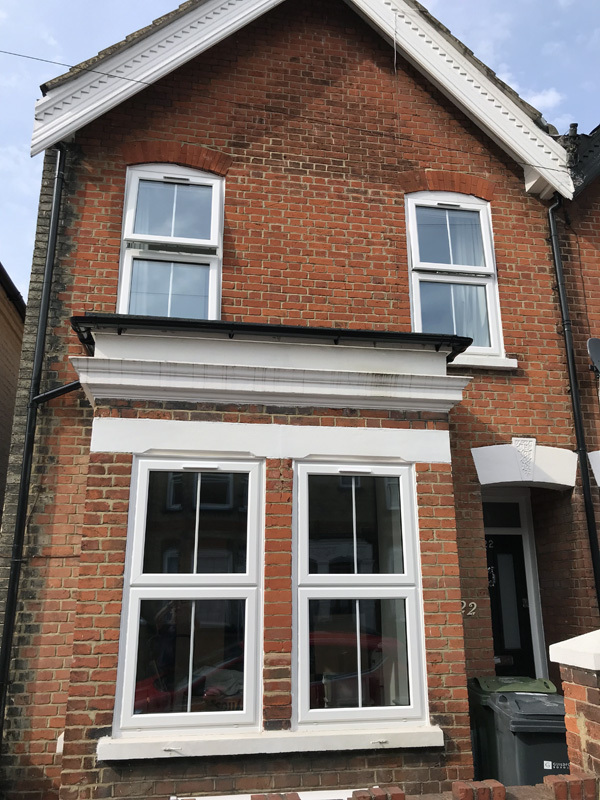 All windows are white uPVC triple glazed for A+ rating. 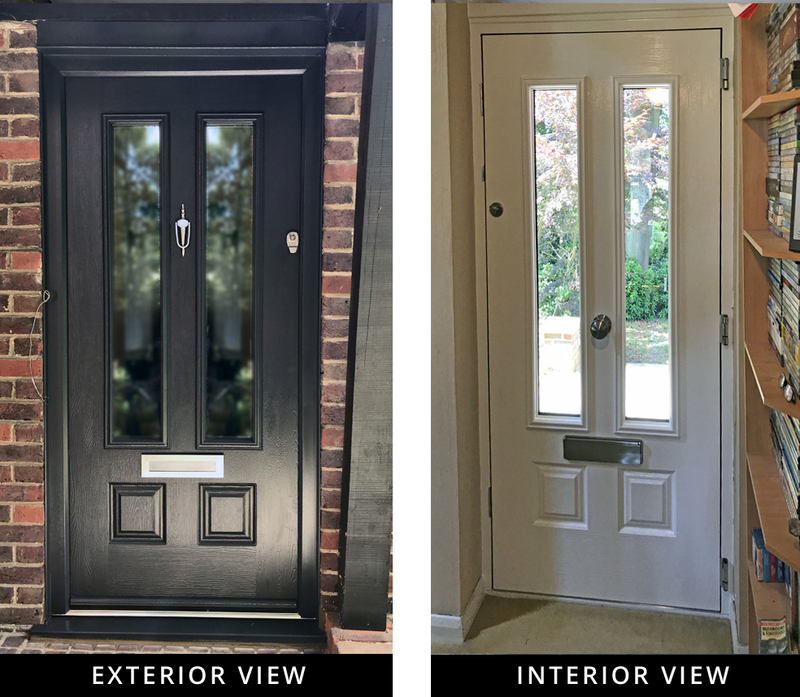 The front door is a Solidor Ludlow 2 in black with chrome furniture and Victorian glass. 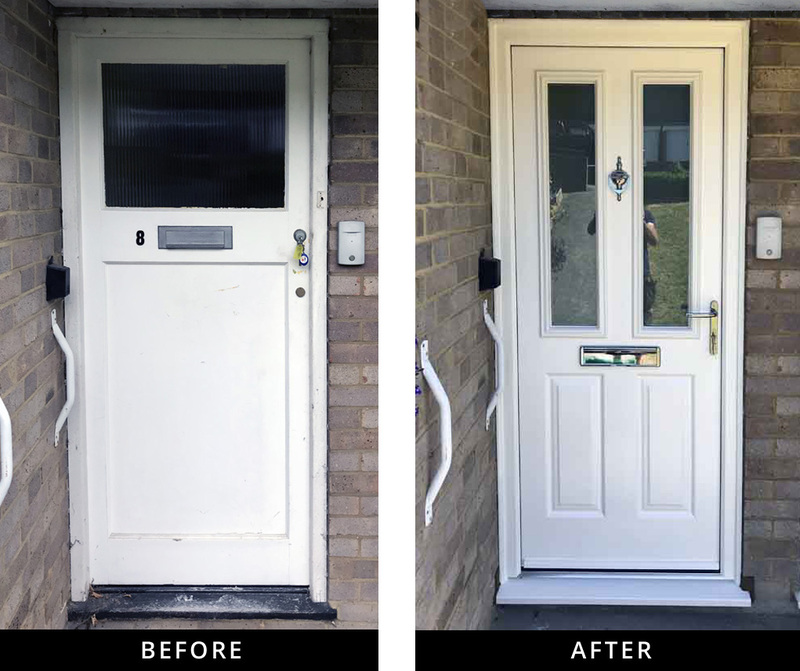 We recently fitted a new door in a property in Coulsdon, Surrey. 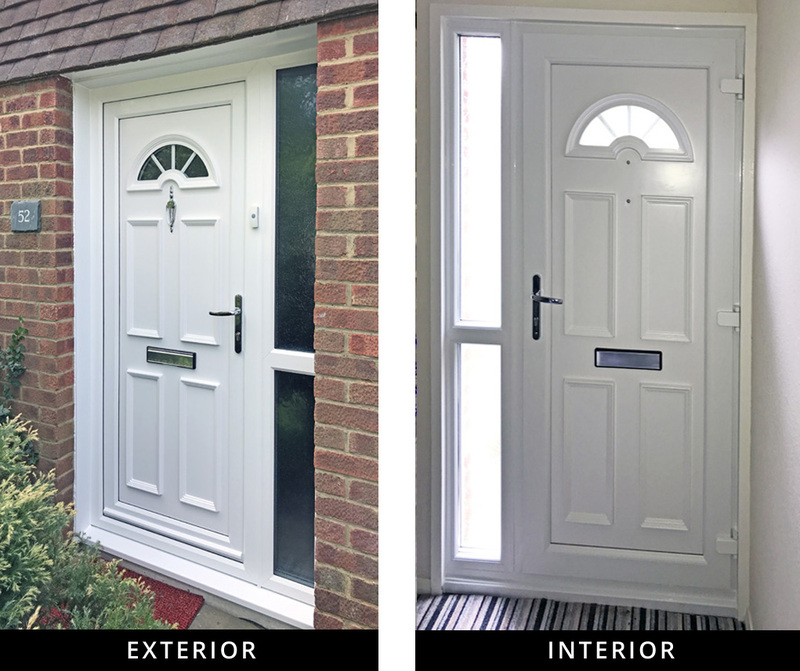 The ‘Etna’ style door was constructed by Endurance doors, visit this page if you want to design your own Endurance door for Alex Dobson Windows and Doors to install. 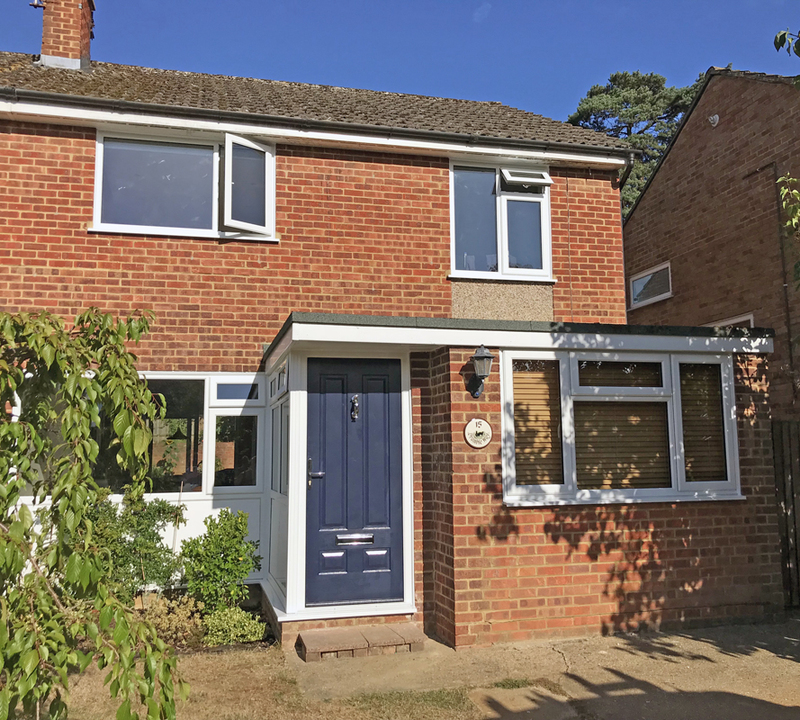 We recently fitted new windows and a chartwell green front entrance door to a property in New Haw. 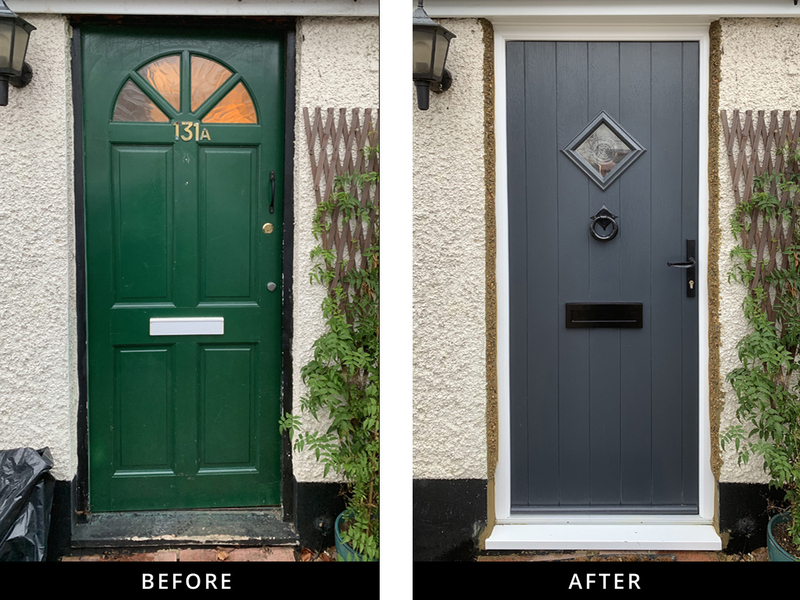 If you are thinking of replacing your front door, or any other, please look at the Solidor dream door builder on this website and get in touch.